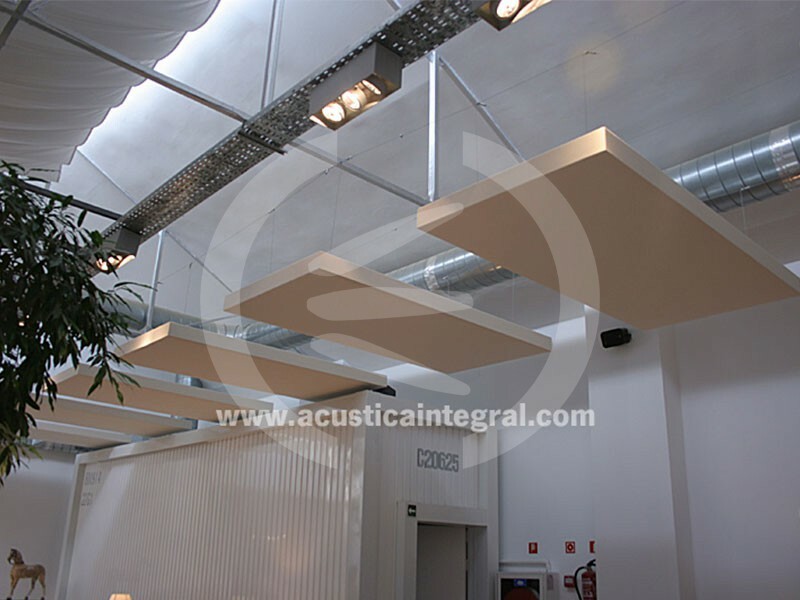 Acústica Integral has installed Acustiart panels by applying an acoustic and decorative treatment. 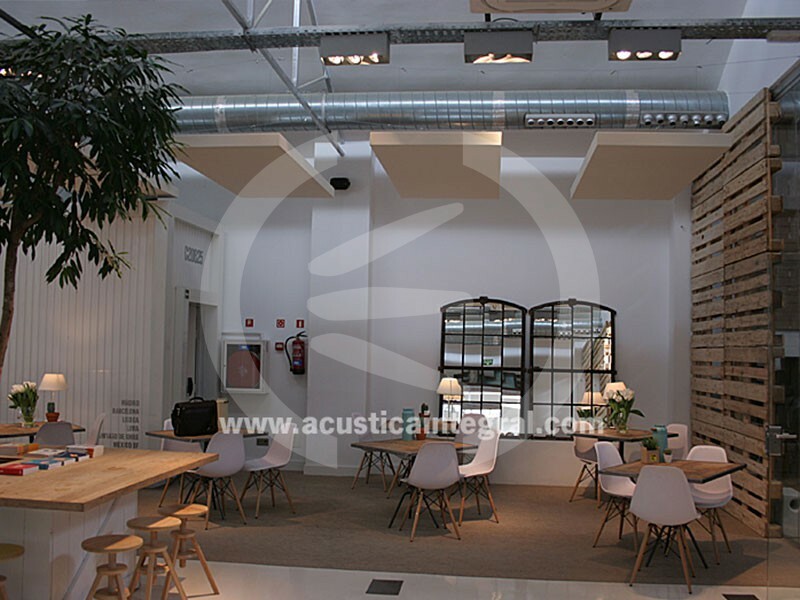 The acoustic treatment has performed a significant reduction of the noise performance into a reverberant workshop with high ceiling and reflective materials which caused a high reverberation. 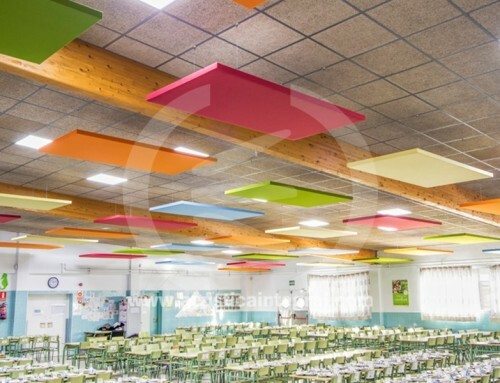 In this project we have used specific colours in accordance with the environment but it is also possible to use a range of standard colours without increasing product costs. 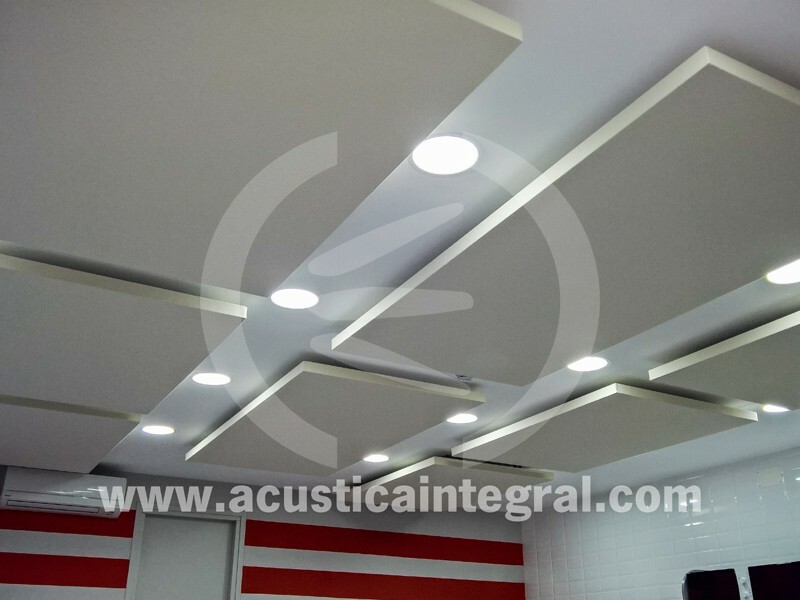 The installation was implemented without disturbing the daily client’s activity due to the simplicity of the Acustiart panel’s installation. 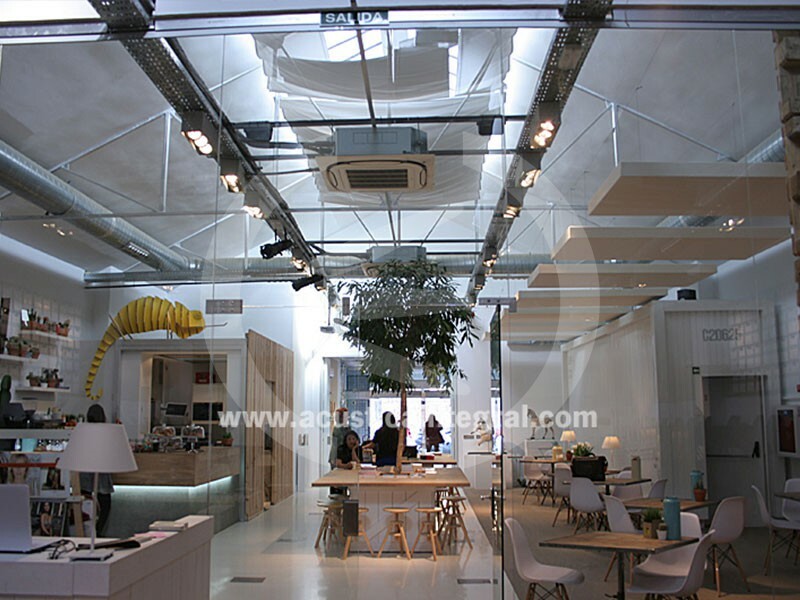 Project: Living workshop. Classroom experiences. 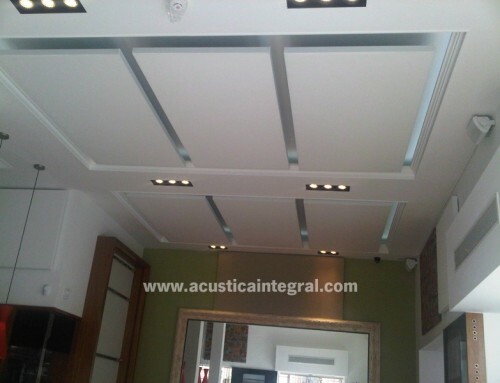 Suportación suspension by roofing kit. 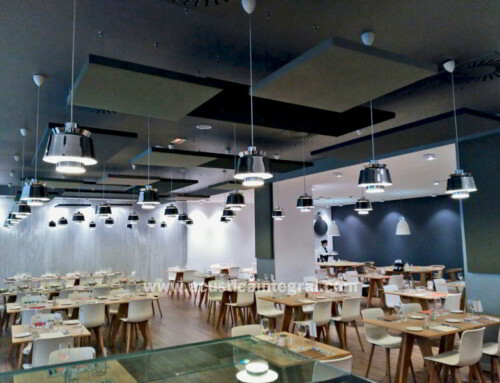 Acoustic conditioning of dining facilities with Acustiart systems. 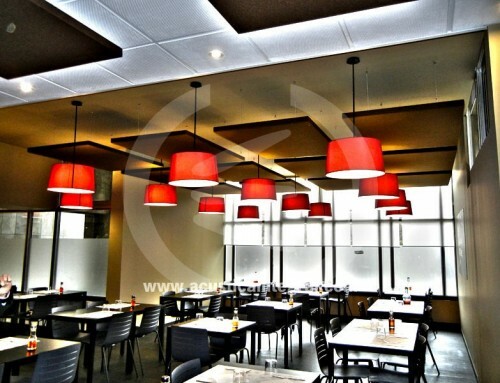 March 7th, 2017 | Comments Off on Acoustic conditioning of dining facilities with Acustiart systems. 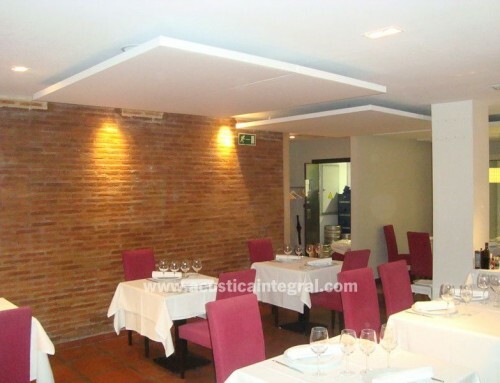 Absorbent treatment with acoustic panels for a restaurant. 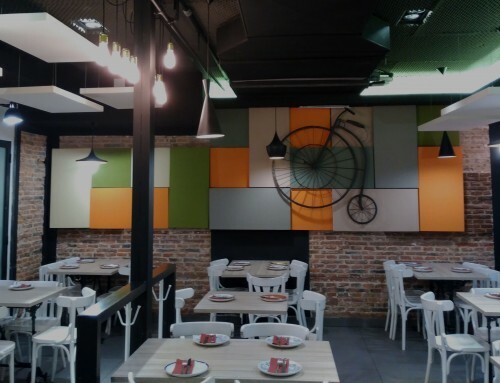 February 7th, 2017 | Comments Off on Absorbent treatment with acoustic panels for a restaurant.